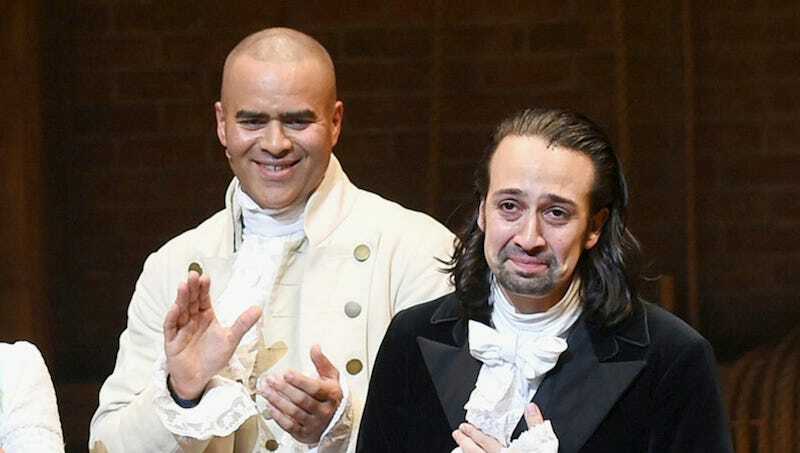 In what would be an “epic win” for both Lin-Manuel Miranda and the deeply embarrassing BuzzFeed Slack room dedicated solely to discussion of the musical Hamilton, the rappin’-while-finger-snappin’ patron saint of theater kids is probably going to win an Oscar for this new song. Miranda, who already has an Emmy, Grammy and Tony, was tasked with the soundtrack for the new Disney animated film Moana, which includes this new song, sung by Alessia Cara. It’s no “Let It Go,” which I can’t even type without getting stuck in my head, so thank god for that. It’s fine! Miranda also just dropped a Hamilton mixtape. What a life.